Kettlebells may look new to some but they’re actually an old piece of equipment. Some say kettlebells go back to the time of ancient Greeks and Romans. 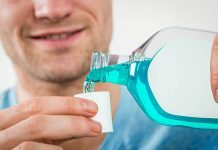 They are very popular since they can target larger muscle groups and give a more intense workout in a shorter time- even when you’re just at home. If you’re new to strength training, you’ve come to the right place. Here are our choices for the best kettlebells for beginners. 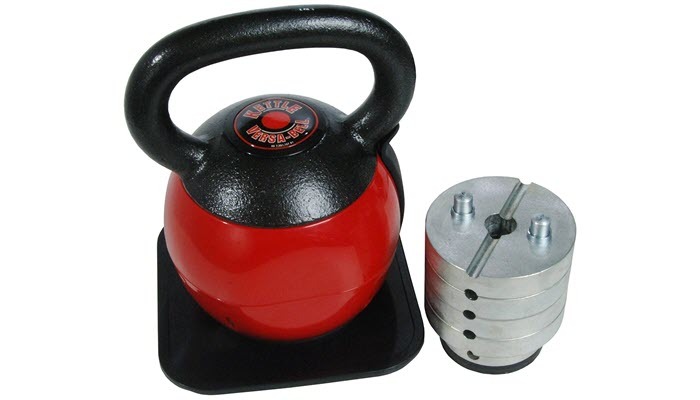 The CAP Powder Coated Cast Iron Kettlebell Weights are made from cast iron and have an industrial powder coating finish. This means they’re very durable and can stand even the toughest workout. These have no seam casting or weld so they’re really built to last. The high-quality materials combined with standard proportions make these a must for any gym. Their handles are textured and have a wide opening to easily fit a hand or two. Since your hands are able to move freely, you’ll always have a secure grip with any exercise. But, what makes these kettlebells great is their flat bottom. This is great because it means they’re safer and easier to store. You can even do exercises like handstands and renegade rows which you can’t with other kettlebells. These kettlebells weigh from 5 to 80 pounds—so it doesn’t matter what level you’re in. This item has a weight of 15 pounds so it’s perfect if you’re a beginner. 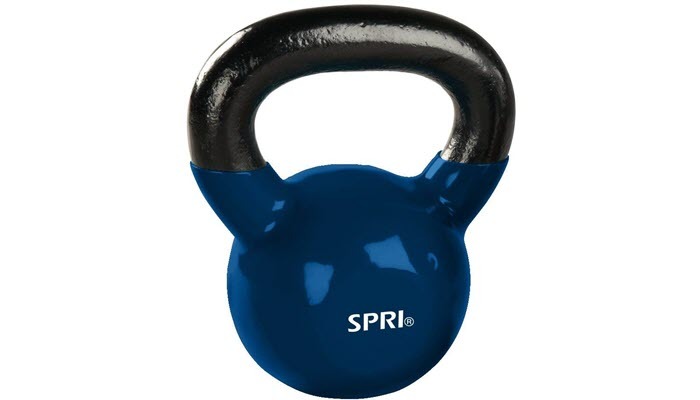 The SPRI Deluxe Vinyl Kettlebell is our personal favorite. This cast iron kettlebell has a durable vinyl coating so you don’t have to worry about scratching or damaging the floor. The flat bottom of this kettlebell allows you to perform basically any workout. It also means you don’t have to invest in a gym rack (yet) since this feature makes the kettlebell easy to store. If deadlifts and swings are your favorite exercises, then this item is for you. It has a wide-grip handle for a comfortable and secure grip. 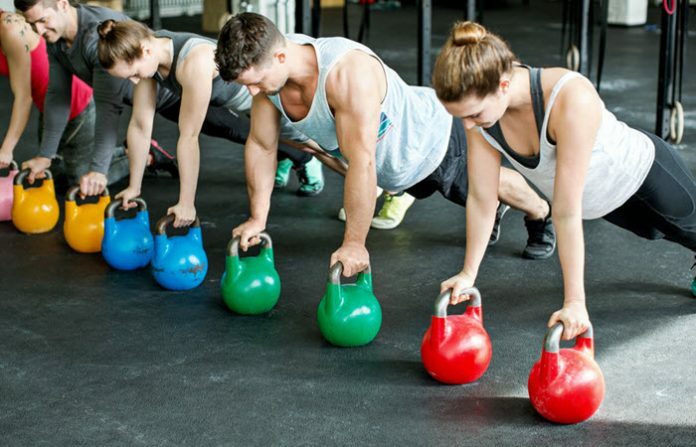 These kettlebells start from 5 pounds and go up to 50 pounds. They’re all color-coded with white markings that show the weight so you can easily identify which one to use. This is great if you’re like us who get intimidated by black kettlebells. This particular item has a weight of 18 pounds. That might seem like a lot for beginners but we promise you’ll get used to it in no time. If you live in an apartment and have limited space, the Stamina X Adjustable Kettle Versa-Bell – 36 lbs is your best bet. It’s a great tool to support your increasing strength and flexibility. This versa-bell has a large, easy-to-grip iron handle for added safety. What makes it unique is its 6-level simple lock system that starts at 16 and ends with 36 pounds, in increments of 4. It’s like getting 6 kettlebells for the price of one. It includes a square base pad holder where you can place your versa-bell when not in use. The weighted plates are small enough to fit in the kettlebell shell so they’re all in one place. The discs stay in place and the weight is evenly distributed so don’t worry about not getting an intense workout. It’s just a bit larger than a regular kettlebell but it wasn’t an issue at all. We just didn’t like the rounded base. Though it’s sturdy enough for pushups, it still puts a limit to the types of exercises you can do. 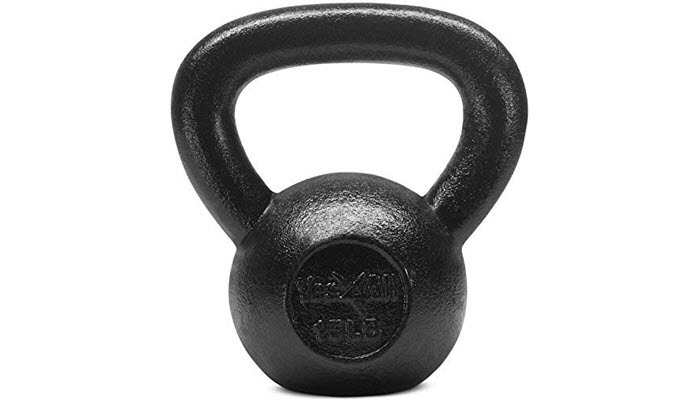 Another crowd favorite, the Yes4ALL Solid Cast Iron Kettlebells are made from solid cast iron with a black paint finish. They start as low as 5 pounds and go up to 80 pounds. They have no seams or welds which show that they’re good quality and are built to last. These kettlebells are painted to avoid corrosion and to give you a better grip. Their handle is smooth, wide, and a bit textured for a comfortable grip during high reps. It also makes dipping your hands in chalk unnecessary. Its flat bottom allows you to perform workouts like mounted pistol squats. This also helps when it comes to storage because having a flat base means they’ll always stay upright. This particular product comes in 15 pounds which is ideal for beginners. When you’re ready to increase your intensity, higher options come with a pair of lifting straps for added protection. What makes kettlebells great is they allow for continuous improvement. Their shape and handle enable you to do various movements and achieve better results in less time. Think of it like your clothes—the function of seams is to hold all the pieces together. Cheap kettlebells leave a seam across the middle and under the handle. This is why they are uncomfortable to use and can even make your hands bleed. So when buying a kettlebell, make sure that it has a coated finish so you’ll hold on to a nice and even surface. Generally, the handle diameter gets thicker as the kettlebell gets heavier. So, be sure to buy a decent kettlebell that has a thick handle to get the most out of your workout. For some kettlebell movements, both hands should fit the handle opening at once. This is why you have to look for a kettlebell with a large handle width so you won’t feel uncomfortable. 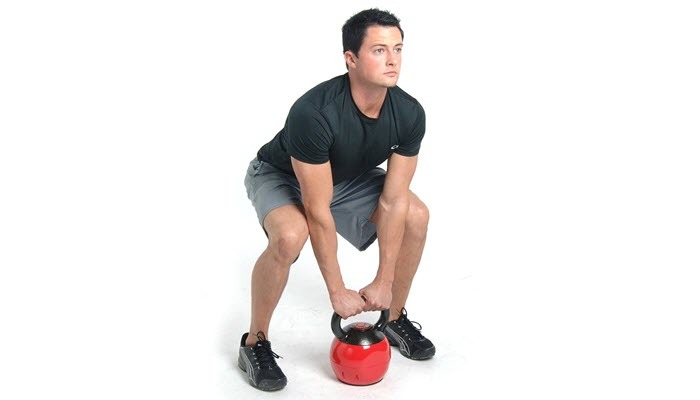 Kettlebells with a flat bottom are recommended for exercises that require you to be fixed on the ground. Cheap ones have rounded bases that tend to wobble around. 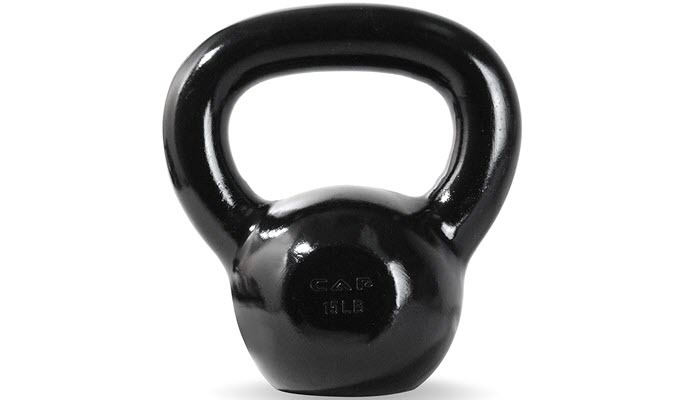 The CAP Powder Coated Cast Iron Kettlebell Weights are our picks as the best kettlebells for beginners. They give an awesome workout and have everything you need in a kettlebell.